Terahertz waves are the electromagnetic radiation that lies in that area between radio frequencies and infra-red light. You might expect that since science has delivered so many breakthroughs in both radio and IR, we’d have mastered them, but so far very few devices capable of working at these wavelengths have been developed. A Nature paper from a group at Tufts University holds the promise of harnessing terahertz waves for applications such as data transfer, for they have developed the first terahertz modulator. It takes the form of a section of slot waveguide between two conductors on a substrate, interrupted by what they describe as a two-dimensional electron gas. This is a very thin layer of electron concentration in an InGaAs region of a semiconductor sandwich that can be created or dissipated by electrical stimulus. This creation and removal of the electron layer has the effect of interrupting the flow of terahertz waves in the waveguide, making a functional modulator. This vintage radio can play AM, FM, and MP3, all with a classic sound. Inside you’ll find a new AM radio tube-amp, providing the functionality you’d expect from the device. The rest of it comes from a conglomeration of parts; an FM receiver board from another radio and an MP3 player with remote control and USB connector. The classic sound we mentioned above comes from an AM modulator. That’s right, the auxiliary audio boards aren’t connected directly, but are broadcast on the AM band so that your latest MC Lars album has the same sound quality as the traffic report. 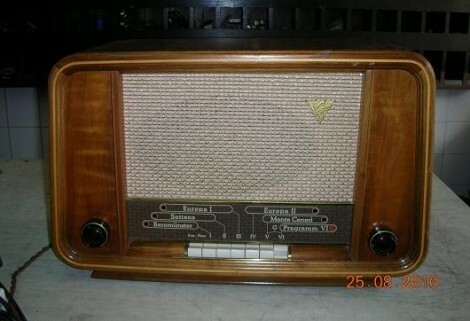 Check out this similar project from last year that adds RDS to a vintage radio. Bleep Labs’ Thingamagoop is a small synthesizer packed with wacky controls for generating unique sounds; you can now build an expanded version yourself with the ThingamaKit. 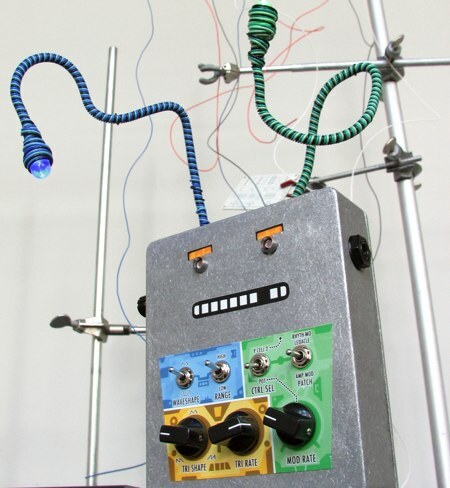 Made “because there are not nearly enough beeping, zapping, bixxerfouping, anthropomorphic synthesizer monsters in the world,” it generates sounds of different pitches depending on the type and intensity of light hitting a photocell on the front panel. It’s most unique feature, is its LEDacle, which is something like a tentacle with an LED on the end. This can be pointed towards the photocell to modulate the sound. Output is through a 1/4″ audio jack. Bleep Labs sells fully assembled Thingamagoops for $100, but the new DIY kit is available for half price. The kit version of the Thingamagoop has more controls, two photosensors, and two LEDacles. You can buy it with or without the case, and it doesn’t require any complex wiring. Look after the break for video of some Thingamagoops in action.